So i am OBSESSED with your okara cookies! When I first read the recipe I couldn’t help drooling but then I realized I didn’t have any coconut! So what did I decide to do? Use pumpkin puree! 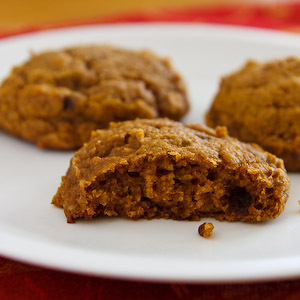 Yup, I’ve made pumpkin okara cookies, substituting pumpkin puree for the coconut flakes and using more vanilla extract rather than any coconut extract….I also add a handful of oatmeal for a little extra crunch. I was immediately intrigued. 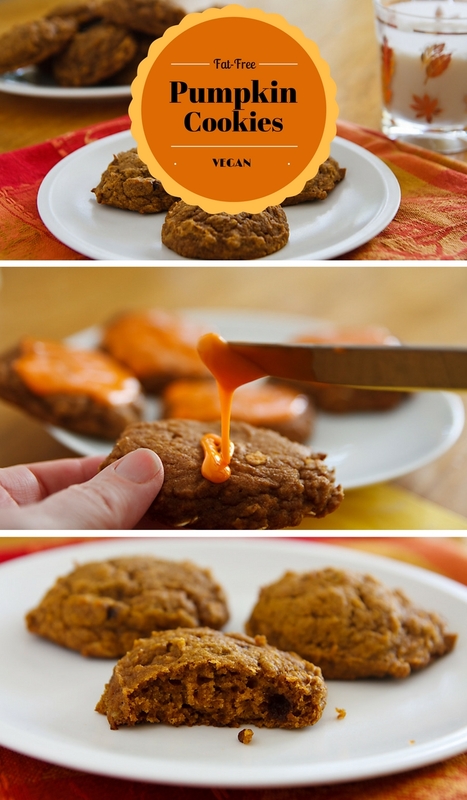 I’ve been in a pumpkin-cookin’ mood lately, but pumpkin cookies hadn’t even occurred to me. I had to check them out. As it turns out, I wound up making two versions of these delicious cookies! Following Emily’s lead, I substituted pumpkin for the coconut and added a little oatmeal for texture. Emily had used honey instead of sugar, so I decided to use agave nectar for sweetening. She also prescribed adding lots of spices, which add a pumpkin pie-taste to these fabulous treats. To make them a little sweeter and more kid-friendly, I iced half of the cookies with pumpkin-colored frosting. It worked! My daughter immediately claimed all of the frosted cookies as “hers.” She liked them so much that she would have eaten all of them in one sitting if I’d let her. Mix the flours, oats, baking soda, spices, and salt in a mixing bowl. Mix the agave nectar, pumpkin, okara (tofu), and vanilla in another bowl. Add the wet ingredients to the dry and stir just until well-blended. Do not over-stir. Use a cookie scoop or tablespoon to drop rounded tablespoons of dough at least two inches apart on a baking sheet lined with a silicone baking mat or parchment paper. Flatten each cookie slightly with a fork. Sprinkle with turbinado sugar, if desired. Bake for 10-16 minutes or until edges are golden and middles seem done. Remove from oven and allow to cool for 5 minutes before transferring each cookie to a wire rack. Allow to cool completely before serving. In a small mixing bowl, add the agave nectar, milk, and extract to the confectioners' sugar. Add additional milk a half-teaspoon at a time, stirring constantly, until the icing is smooth and spreadable but not so thin that it runs off. If you add too much milk, add a little more sugar to balance it out. Add food coloring a drop at a time until the right color is achieved. Spread over cooled cookies and allow to dry. Nutritional info below is for cookies without icing. With icing: 110 Calories (kcal); trace Total Fat; (2% calories from fat); 1g Protein; 27g Carbohydrate; 0mg Cholesterol; 78mg Sodium; 1g Fiber. 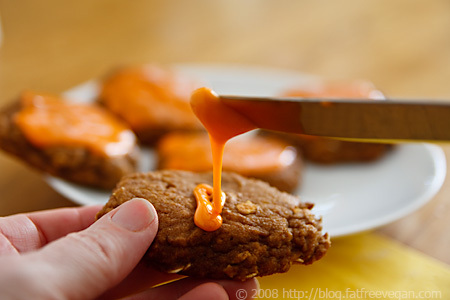 Fat-free pumpkin cookies are fine for here at home, but I’m always afraid they’re a little too rubbery to serve to people who aren’t used to fat-free baking. When I’m entertaining or bringing food to a party, I like to avoid serving anything that tastes too “healthy” because people will get the (wrong) idea that it tastes that way because it’s vegan when, in fact, it’s the lack of fat that makes it heavier and chewier. So while I had the oven hot and my counters all covered with flour and pumpkin, I made a second, not fat-free version using 1/3 cup of Earth Balance margarine instead of half of the okara. The results were amazing–light, tender cookies that melt in your mouth. And since I added extra sugar to the batter, they don’t need any icing or sugar on top, though a little orange icing would make them perfect at any Halloween party. But please don’t present them as health food! Mix the dry ingredients (flour through salt) in a medium bowl. In a large bowl, cream together the margarine and sugar. Beat in the okara, pumpkin, and vanilla extract, until well-blended. Add the flour mixture a little at a time to the wet ingredients, stirring well after each addition. Use a cookie scoop or tablespoon to drop rounded tablespoons of dough at least two inches apart on a baking sheet lined with a silicone baking mat or parchment paper. Bake for 10-14 minutes. Remove from oven and allow to cool for 5 minutes before transferring to a wire rack to cool completely. Thanks, Emily, for the great idea and for allowing me to share it with everyone. Now, could someone get me away from all these cookies?! 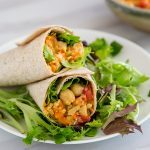 Cathleen at Vegan Nutritionista recently asked me to answer a few questions about my experience as a vegan. You can check out the interview here. 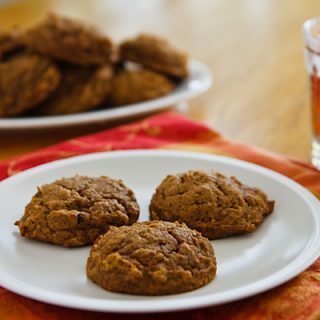 great recipe…i have a similar one i made up using butternut squash…i don't use butter.earth balance or tofu, instead i find the cookies are a good texture using a little apple butter and also a half cup of dates adds a nice taste….oh yeah, and flaxseeds! i will try your recipe…sounds great. i use agave in mine, but maple syrup or barley malt works fine too. Made these with wheat germ instead of flour, no sugar, 1/3 cup of coconut oil, ground flax, 1/2 cup dates, no tofu, and added walnuts. I can die happy now. Gabrielle, I would LOVE to have your version of this recipe!!! I made these last night and they were great! I didn’t have any pumpkin, but I had a buttercup squash sitting around and it turned out to be a great sub! They have a really nice sweet and creamy flavor, however, mine turned out a little too bready to be called a ‘cookie’. I would call them more of a sweet roll, but they were great! Made these today and loved them. I doubled the recipe – made the fat-free version. Very yummy!!! I decided to call them Pumpkin Cupkies since they’re cupcake/cookie like. I made these exactly as prescribed, only I added a couple shakes of cloves. I used tofu since I didn’t have the okara. I noticed that in the fat-free version there’s no cloves, but in the fat version there is. Is that a typo? Thanks, Susan for another great recipe! Hmmm. I can’t remember if I put cloves into the fat-free ones or not, so I’m glad you caught that. I should probably add cloves as an option for people who like the flavor. I’m so glad you liked the recipe! Even the “unhealthy” ones aren’t too bad at all calorie-wise! I’d use stevia to help even more. Both are wonderful and I looooove me some pumpkin cookies. Heck, I love pumpkin anything! I swear, pumpkin, oats, dates, bananas and coconut (with some asparagus and brussels for my veg) are the foods I just couldn’t live without! These look absolutely delicious! I always throw in a handful of dark chocolate chips when I make pumpkin sweets. The two flavors were meant to be! How do you think they’d be with fresh pumpkin? Would you adjust anything? I have 6 pumpkins I need to use and I can only eat so much pie! I would just make sure that after you cook and puree your pumpkin to press all the water you can out of it, so that it’s as packed and dense as canned pumpkin. Hope you enjoy them! Hi, I love your website, FYI! I really wanted to ask you, what can I substitute tofu for? I’ve recently made the full transition from vegetarian to vegan a few months ago and have yet to figure out what I can use in place of tofu since I don’t eat soy. What would you recommend? Thanks so much for your time and I look forward to new recipes!!! Hi Sydney! It’s going to be tough to replace the tofu in these cookies because they’re based on tofu–it’s a main ingredient. 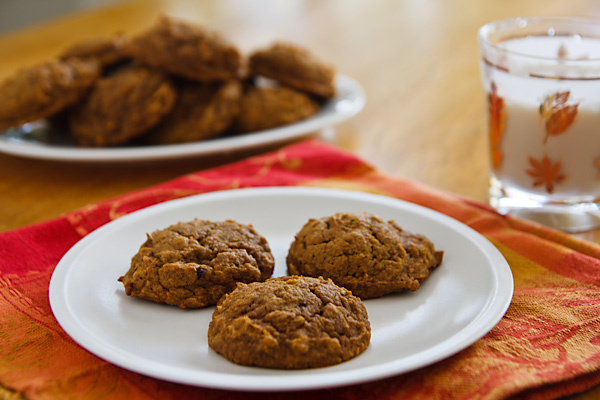 You would probably be better off finding another pumpkin cookie recipe that doesn’t use soy or that only uses a little and replace it with apple sauce (maybe). It really depends on the recipe–what works in one won’t work for another. It depends on how much tofu it contains and what it’s being used for. yum! I made the low fat version, but added walnuts…..so same – same! they are tasty, yet not sweet. thanks again!!! can I replace the agave nector with honey? Yes, any liquid sweetener will work. how long can i store these for? Keep them in the fridge and they should last a couple of weeks. 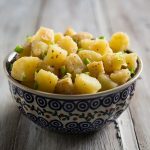 This is a recipe unlike any I’d ever made owing to the tofu in it, but my daughter, who’s interest in the kitchen is rather new, was very interesting in trying them for me since I can not digest fats and baked good I can eat are rare. We made the tofu version. They bake up a little muffin-y but not as light and the taste is a little bland surprisingly. Perhaps the okara version is more like a cookie. I do not think I would attempt a tofu based cookie again — though I may take the pumpkin oatmeal idea and see what I can come up with…they aren’t bad in taste but not exactly a cookie. Pumpkin protein pleasers? I am in love with your blog. I was wondering what kind of good coloring you use. I am looking for a brand that is vegan friendly. No crushed bugs! I just made these with bananas instead of pumpkin, came out great! thanks! Made these and by accident switched the quantities of flour and oats around. They turned out like a granola bar. They were great. The kids want to try them with cranberries and white chips in them. Cant complain if the kids like them. Thanks for another great recipe. Sorry for the ignorance… but are you using silken tofu or not? No, in this one I just use regular firm tofu. I have been using your recipes heavily and am so appreciative of your work as well as your high quality standards. I just wanted you to know that this is one of my husband’s favorite cookies and that we have replaced all commercial cookies with this one recipe. That is a lot to say considering what a junk food eater he has been. I modified this recipe to make these into bars rather than cookies; I just switched the flour and oat measurements. I also added raisins and walnuts and just slop the batch onto parchment in one gigantic form that is later cut into bars after 20 minutes of cooking and cooling. 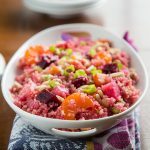 I have also been using and modifying your recipes (swapping out high glycemic for low glycemic as needed, removing sugars/fruits) for my son’s treatment of candida issues. We have been getting wonderful results with those. 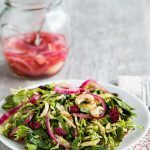 Your blog and the threads for the recipes have been invaluable to me. Can I use a whole cup of the white whole wheat flour i stead of using unbleached flour? I have all the ingredients on hand except for the unbleached flour. Yes, it should work fine, though if it seems dry, add a tablespoon of water.